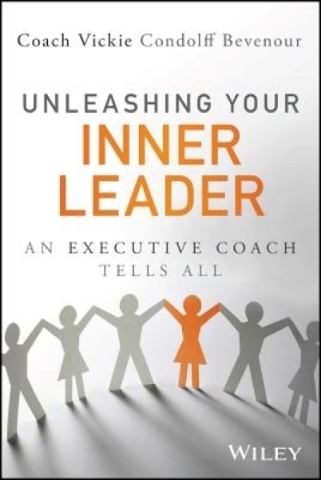 “Unleashing Your Inner Leader An Executive Coach Tells All” by Vickie Condolff Bevenour (John Wiley & Sons, $45). Norman Vincent Peale, author of “The Power of Positive Thinking,” stated: “People become really quite remarkable when they start thinking they can do things.” The key words emphasized by Vickie Condolff Bevenour’s self-coaching model are: Start thinking. What’s the process? Awareness — Know yourself. Identify your strengths. Doing what you love to do + doing what you are good at = Strength. The client studies throughout the book show that playing to your strengths propels results. What about shortcomings? Identify them, too. Consider how improvement will enhance doing what you love and doing what you’re good at. Personal values are part of awareness, too. You can’t do your best in a work environment where your values are at odds with the way the organization/manager executes. Acceptance — Knowing that you must balance the use of your strengths helps you succeed. It’s about knowing and appreciating the perspectives of others. Leaders require engaged followers, not all of whom have the same strengths. Example: Highly competitive people need to back off their accelerator a bit to get more cautious others on board. Letting people use their strengths creates win-win. Choices — When what you think about “Brand You” doesn’t synch with how you’re viewed by colleagues, you’re walking a career tightrope. How others see you leads to choices in how to use your strengths to build your brand. Look back on what’s built your brand through CAR (Challenge, Action, Results) stories. Look for cues that resulted in disconnects with others. Change — Continuous improvement means commitment to change. Situations change; people change. To effectively lead, you must change over time to ensure career growth. Advice for readers: Take your time to think through your answers when completing the various exercises in each chapter. 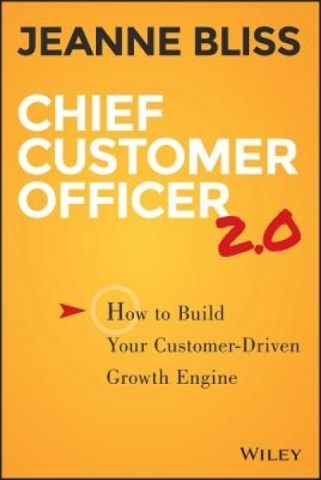 “Chief Customer Officer 2.0: How to Build Your Customer-Driven Growth Engine” by Jeanne Bliss (Jossey-Bass, $28). 1. “Honor and manage customers as assets.” Just as you measure employee satisfaction, you must measure customer satisfaction. Think of customers as talented employees; if they leave, you need to know why. Talking with former customers provides valuable information about their experience. Their input should be viewed as a path to your continuous improvement. 2. “Align around experience.” Since no two customers are alike and customers’ needs change, knowing what they value drives “differentiated” action. To differentiate, you need to define customer touchpoints that drive their experience from initial contact through post-sale. Identify cross-functional operations that interact at various touchpoints and eliminate information silos. 3. “Build a customer listening path.” When measuring customer satisfaction, don’t just look at the overall score; analyze its components. Doing so allows you to identify experience issues and link them to touchpoints and trends. Social media platforms provide real-time feedback, too. Those platforms also give you ways to tell your story and invite comments. 4. “Proactive experience reliability and innovation.” Where are your customer-service red flags? What are your procedures for addressing them? Bliss cautions against fixing customer issues “one-off” because such fixes are usually confined to a silo, and don’t take into account the breadth of the problem. She also believes that managing the customer experience plays a large role in new-product development. 5. “Leadership, accountability and culture.” Engagement begins with the leadership team, which connects work to the customer experience. Leaders must actively solicit customer-experience feedback from their cross-functional teams. Key takeaway: A well-coordinated internal process that provides a differentiated customer experience drives profits.